The compact, 17.2 oz. Ruger LC9s pistol has a 3.12” barrel, an overall length of 6”, a height of 4.5” and a slim 0.9” width. The compact frame and short trigger reach is designed to accommodate a wide range of hand sizes. 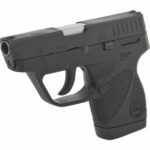 The LC9s offers modern safety features such as an integrated trigger safety, manual safety, magazine disconnect, insert magazine for safe disassembly and a visual inspection port that allows for visual confirmation of a loaded or empty chamber. The LC9s ships with one 7-round magazine and a cable locking device. 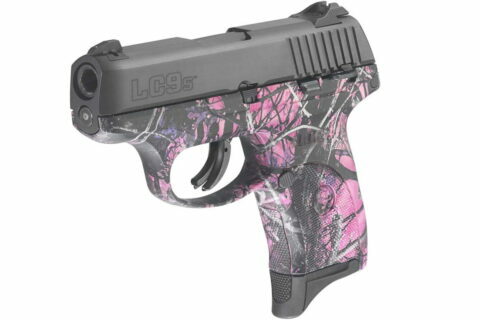 The LC9s in Muddy Girl Camo is a striker-fired version of the award-winning LC9® pistol. 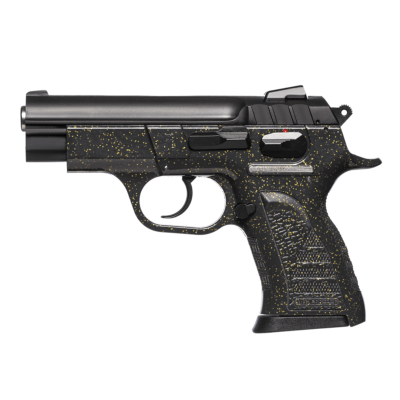 Like the LC9, the LC9s is a slim, lightweight, personal protection pistol that is chambered in 9mm Luger. The LC9s features a newly designed trigger mechanism with a short, light, crisp trigger pull that improves accuracy and performance. The LC9s uses the same holsters, extended magazines, lasers and accessories as the rugged and reliable LC9 and features a blued, through-hardened alloy steel slide; a one-piece high-performance, glass-filled nylon grip frame with aggressive checkering; a grip extension magazine floorplate to improve handling; and a rapid acquisition, windage adjustable, 3-dot sight system. Slim, lightweight and compact for personal protection. Just slightly larger (less than 1″ taller and 1″ longer) than the popular and incredibly compact LCP.